Delhi weather: "The minimum temperature recorded at 8.30 AM was at 26 degrees Celsius, a notch above normal," a MeT department official said. There was a drop in mercury after rain in Delhi. 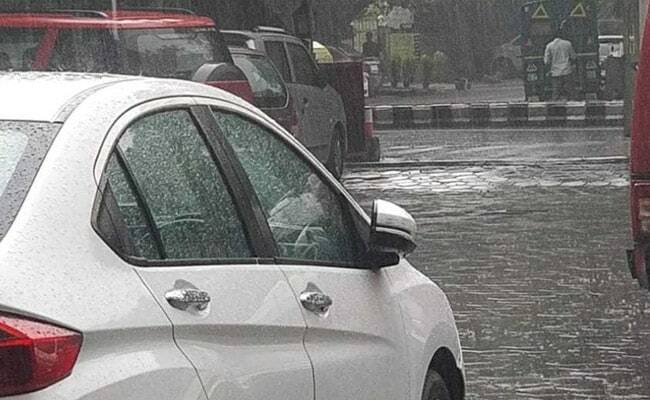 Heavy rains lashed parts of the national capital this afternoon even as the weatherman has predicted the showers to continue overnight. "The minimum temperature recorded at 8.30 AM was at 26 degrees Celsius, a notch above normal," a MeT department official said. The humidity level was recorded at 72 per cent. "More rains are expected towards the evening and may continue overnight. The maximum and minimum temperatures are expected to settle around 38 and 26 degrees Celsius," the official added. People on Twitter started posting pictures of the rain, which had hit traffic. Yesterday, the maximum and minimum temperatures had settled at 36.7 and 23.6 degrees Celsius respectively.